Marin Boieru began his ballet training in Romania and later trained at the Kirov Ballet in Leningrad. Mr. Boieru came to Carolina Ballet after seven years as principal dancer for the Miami City Ballet under the direction of Edward Villella. He has performed as a principal for such companies as the Pennsylvania Ballet, Maurice Bejart's Ballet of the 20th Century, Roland Petit's Ballet Company of Marseilles, rance and Opera of Bucharest. He is the winner of the gold medal at the prestigious Varna and Moscow Ballet competitions. 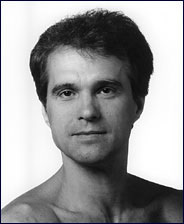 Mr. Boieru starred as James in Peter Martin's PBS production of La Sylphide and as "Albrecht" on European television in the Romanian National Ballet's production of Giselle.